It’s rumor mill time. Once again, people are talking and suggesting that the Loreto Bay development has been sold to Homex, a large Mexican developer. Apparently this week the Governor and Loreto mayor Yuan Yee visited the development and a commitment has been made to invest upwards of 312,000 pesos. Note again: did I say this was a rumor? Any home owner in Loreto knows the routine. Rumors fly. They prove to be false. Things calm down for a few months. Then the process repeats. It seems everyone has an inside scoop. Still, it’s worth mentioning and following just in case. It would be a boon to Loreto Bay if it proved true. 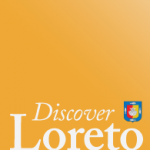 No official word yet on Loreto Bay News – the so-called official news outlet and messenger for LB, that only updates us to tell us that they are “official,” and then provides no substantive information. Ah, yes, fun times. Meanwhile, the LB community is going stronger than ever! Is Homex really buying the Loreto Bay Company? One of the rumors that I have kept hearing is regarding Desarrolladora Homex’s negotiations with Citigroup for the sale of TSD Loreto Partners S. en C. por A. de C.V. (commonly known as the Loreto Bay Company). If this is true, then what does it mean to a homebuyer that did not have their home construction completed by TSD Loreto Partners? What if they hired a third party contractor to finish their construction, such as the “global solution” for the Aqua viva homes as proposed by Beck Internacional de Mexico? 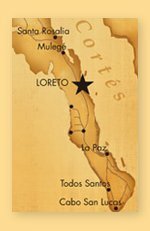 It is clear that there are many questions that remain unanswered for the buyers of the Loreto Bay development in the Nopolo area of Loreto, Baja California Sur, Mexico. We will have to wait and see how things develop.